Last weekend was the great Big WOW! convention in San Jose which just seems to grow exponentially every year. It’s wonderful to see as there has been a definite void in Northern California cons since Wondercon moved to Anaheim a few years ago. I was there on Sunday squatting at booth 410 with my cartoonist pals Betsy Streeter and Bridgett Spicer. It was a lot of fun and I’ll definitely be attending again next year. Thanks to everyone who came by and hope everyone had fun. By the end of the day we were all a little loopy and the idea of zombie toast came up sooo… I drew it. 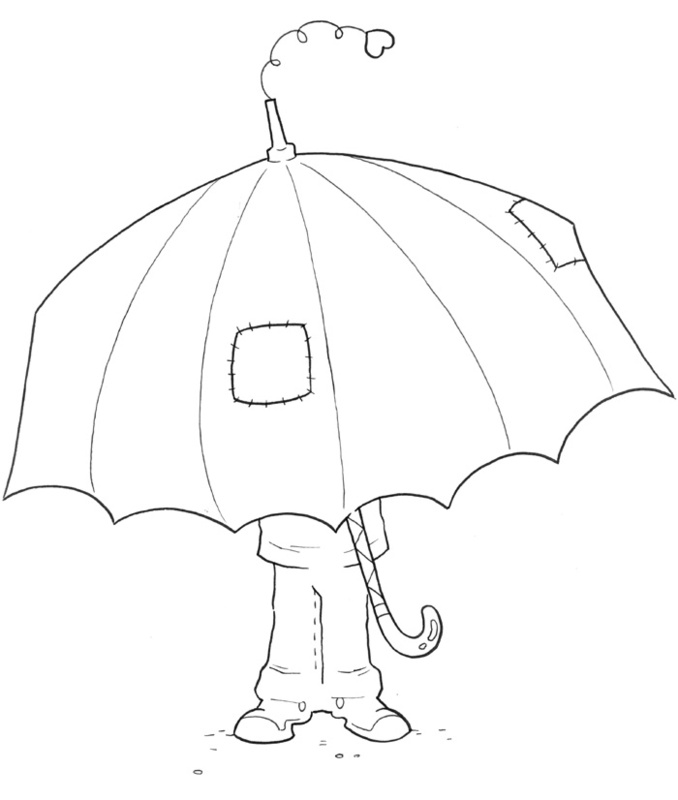 As of this weekend I have finalized all interior art as well as the cover for my very first picture book, The World’s Crummiest Umbrella, to be released soon by Wandering in the Words Press. It will be available to purchase through the website as well as on Amazon. Check back here as I will be announcing the exact release date very shortly. There are some other exciting picture book/children’s literature projects in the works so this is only the beginning. I have also been diligently working with my agent on animated series projects and pitches though there isn’t too much that I can share at this point. We are talking to a few networks you may have heard of though… I’ve already said too much. Just know there is a lot of thrilling things in the works which I hope to be able to share with all of you lovely people very soon. Thank you for all the support and love throughout the years! On a final note, I hope everyone has a safe and happy Memorial Day. While we enjoy our beers and BBQ let us take the time to remember what this day is actually about. Thank you to all the service men and women who bravely gave their lives defending our freedom.